Alexandra's Wishes: Can you tell what it is yet? 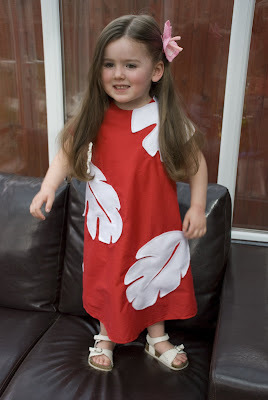 I've finally finished Alexandra's fancy dress costume that I mentioned here. It's for a party she's going to next Saturday (I figured this was probably my last chance!) and she was super pleased with it. 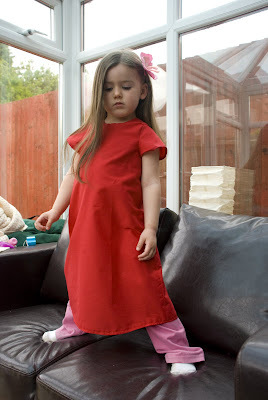 We had to go and show Grandma and Grandpa and then walk down to my Mum's to show Nana and Auntie Steph. She was really getting into her role! This is part way through. This is all finished! Do you know who she is? 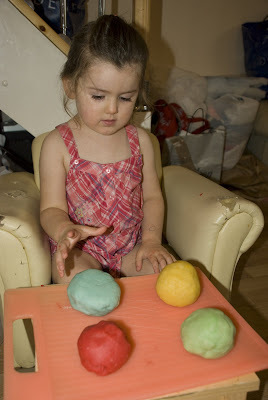 As a side note, we also made microwave play dough. 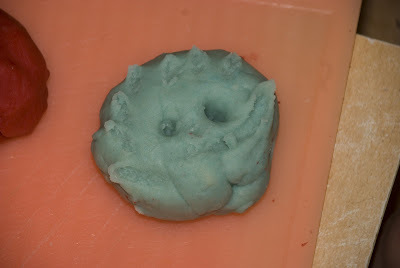 Everyone, meet play dough Daddy head with spikey hair!